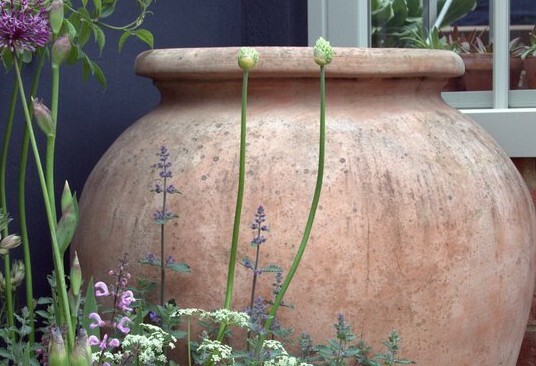 by sophie	Blog, Do I really NEED a Garden Designer? 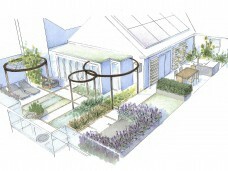 Assuming we recognise the need for having a plan (as discussed in part one: Do I really NEED a Garden Designer? ), the next question to ask is why a garden designer is the right person to create it. Maybe we should start by considering all the other options first. If a dedicated designer isn’t involved, the plan is usually conceived by either the householder, the landscaper/builder, or a combination of the two. (Occasionally an architect will design some of the hard landscaping around a new-build or extension. However, they don’t usually attempt anything beyond this, which is of course a problem, because you are still left with the rest of the plot). By all means, if you are the householder and you want to design your garden, then please do go ahead. If you want to create something all by yourself then this is the way to go. I still think it may well be a more stressful and expensive path to take, but by all means do go for it. Just don’t assume that hiring a garden designer means you HAVE to hand over total control, and then end up with a garden you feel you had no hand in creating. (Although of course for many people this is exactly why they want us on board!) Any good garden designer will start by taking copious notes about your lifestyle, and your likes and dislikes. But some clients want to get more involved, and then the process becomes a collaborative effort, resulting in a garden they feel they truly ‘own’ from the start. This can be a wonderful experience for many people, and gives them a new passion that stays with them long after the landscapers have left. Hiring a professional designer makes the process easier, less stressful and more enjoyable than going it alone. There is also the comfort that someone else is keeping an eye on the budget; and it gives you fantastic access to a whole range of new ideas and materials, not to mention people with the skills to put these into practice. Landscapers often offer a free design service as part of their build package. The first thing to point out is that it probably isn’t free, you are more than likely paying for it somewhere down the line, as they will have to recover the cost of their time. Whether it is free or not, it’s highly likely that a landscaper/builder would usually spend a lot less time on a plan than a garden designer would. When you consider the impact that the design has on the overall finished project, you can see that time spent on it is time well spent. But not only will a designer put in the hours, they also have the skills, training and experience to come up with a bespoke design, tailor-made to suit the requirements of both site and client. They aren’t tempted to roll out the same old ideas, with the odd tweak to make them fit. And they bring an objective eye to the site, working on behalf of the clients and the clients alone, with none of the temptations of simply suggesting features they know how to build, or materials they can get easily. A good designer will approach the project with a practical, problem-solving approach. They will draw up working documents that assess the site, and others that map out the features that need to be included. Then they will combine both to come up with a beautiful design that really works. Wouldn’t you rather a trained professional had sat down and thought all this through before anyone even picks up a spade? Of course there are good landscapers, (just as there are, unfortunately, bad designers) and a high quality firm that offers a serious design and build option would be worth considering. I would just suggest that a ‘free’ design, isn’t always a good thing, and that the expertise of a designer will inevitably be money well spent in the long run. After all, when your garden is finished, it’s the design that will affect how it looks and feels; how it functions in a practical sense; and ultimately whether it was a sound financial investment. If you would like to see some examples of the process I go through when creating a plan, please see my How To Design a Garden series.